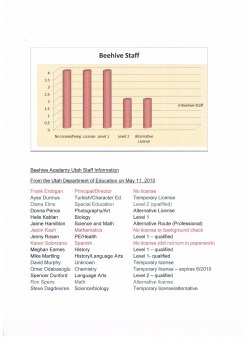 Beehive Buzz - CHARTER SCHOOL WATCHDOG http://www.charterschoolwatchdog. 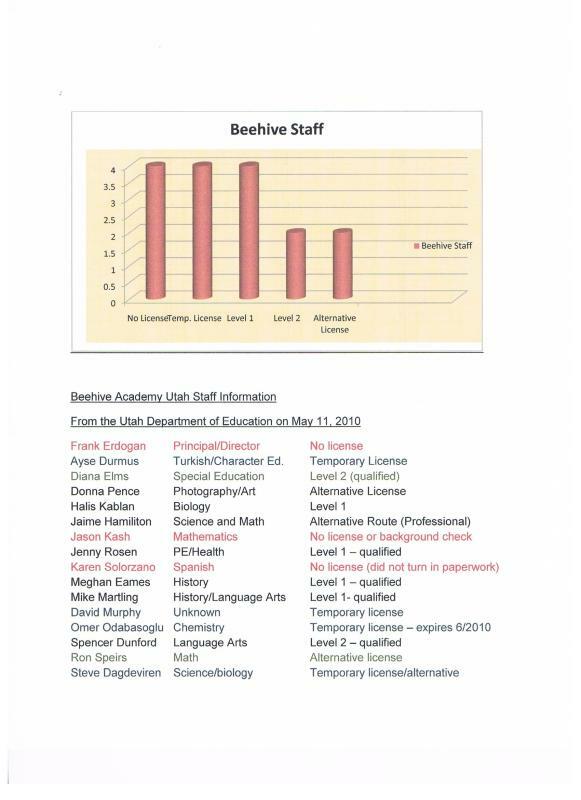 We decided to check out all of the "buzz" about Beehive (that's the school that the Utah Charter Board voted to close at the end of the 2010 school year), and find out about the teaching license status of its teachers/administrators. Apparently, in Utah, there are different types of licenses, which include a temporary license, an alternative license (which means the teacher is trying to get a qualified license to teach a subject matter), and level 1 and 2 licenses (which means that the teacher is qualified to teach the subject matter). We were also told that Directors/Administrators of charter schools are not required to have a license (why not we wonder? ), but that if they do not have a license it affects their ability to get some types of federal funding (maybe that is why they are in the red...). Anyway, this information was given to us directly by the Utah Department of Education, so if anyone has "issues" with the information, take it up with UDE.